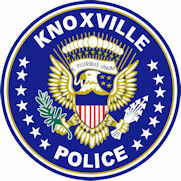 This survey will measure community perceptions about the City of Knoxville Police Department. We will ask about local crime concerns and public safety. This survey will also ask for suggestions on how we can better serve Knoxville’s citizens. We appreciate your time and consideration in responding to this survey. Please do not include your name on any part of this survey to protect your privacy. This survey will remain anonymous. Please skip any questions you do not wish to answer. Should you have any questions about this survey or need information on the survey findings, please contact Sgt. Tammy Mattina at 865-215-7000 or tmattina@knoxvilletn.gov.